Unsure of just what to select? Have to get that last minute gift and can't make it to the Mall? 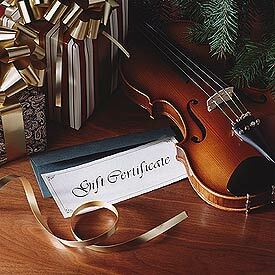 We offer gift certificates in any denomination in increments of $10.00. And the beauty is�you can print them directly at Home! In literally minutes you have a beautifully designed certificate with that special someone's name imprinted on the front. They don't have to know you did it on your computer! Choose from three Bella designs and put a smile on someone's face!